I work as lead Consultant in a team of experienced healthcare professionals offering friendly and careful consultations with efficient investigation using blood and faecal testing, ultrasound, CT (Computer aided Tomography) scans, MRI (Magnetic Resonance Imaging) scans, barium examinations, oesophageal physiology and endoscopy. Most patients prefer to see me at their local Hospital, either in Harpenden (Spire Hospital) or in Hitchin (Pinehill Hospital). 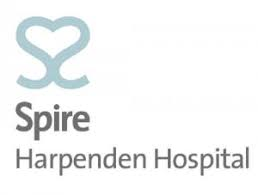 For those busy during the day I work Monday evening until 9pm at Pinehill Hospital and every other Thursday evening until 8pm in Spire Harpenden. For those busy in the evenings I practice Thursday morning in Spire Harpenden. Alternative appointment times can sometimes be arranged. Both facilities have undergone rigorous inspection by the care quality commission (CQC) and by the joint advisory endoscopy group (The JAG), the two leading and nationally recognized accreditation bodies for hospital and endoscopy facilities (JAG accredited). In addition, all of our team are qualified specialists with a particular interest in Gastroenterology patients. Both hospitals have state of the art facilities and can offer the comfort of advanced sedation techniques. With notice, full general anaesthetic may be possible. We will work closely with you, or your healthcare insurer, to make sure your visit runs as smoothly as possible from first contact and throughout all your appointments. We will give you clear and easy to understand information and costs from the start. Appointments are usually available within a week and parking is easy. Come and see us now, don’t delay.